In the world of the manufacturer and wholesaler there is often a basket full of brands to keep track of. These are product brands, your company brand and your customers’ brands. In the greater picture of production volumes, driving sales and logistics brand and marketing strategies sometimes fall by the way side. Lewis Carroll wrote, “If you don’t know where you are going, any road will get you there.” Without a clearly laid out industrial marketing strategy you could be working yourself in circles without feeling that you are accomplishing much, or reaching goals within the timeframes you set yourself. Let’s start with the brands you manage. Should you be in a position where you manufacture or distribute more than one product brand, that differ from your company brand, it is extremely important to understand the architecture of your brand strategy and the reasoning behind it. This all boils down to how a company’s logos and brands work together, thus informing the consumer on how to understand and interact with them. A house of brands: This is where there is a ‘silent’ parent brand with individual product brands, which sometimes even compete with each other. An example would be Proctor & Gamble which is the parent brand of Ariel, Gillette, Oral B, Vicks and many more. A branded house: The parent brand is the main brand and consistent across all products or services. There is one main brand promise that must be delivered on throughout all the different offerings. An example would be Virgin that operates Virgin Air, Virgin Mobile and Virgin Records. Hybrid architecture: This is where the parent brand is used to endorse other individual brands. An example would be Coca Cola with brands such as Sprite, Coke Zero, Minute Maid – all endorsed with the Coca Cola brand. Regardless of the model used each brand should be clearly defined including application guidelines to ensure their integrity remains consistent throughout any consumer touch point. Next would be the marketing strategy you want to follow. You are probably manufacturing or distributing products that will ultimately be used by the end-user, although your direct customer base are retailers. The two main marketing strategy options available to you would be either a push or a pull strategy. 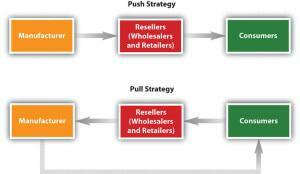 Push strategy: This is where your main aim is targeting the retailers to ensure your product is available on their shelves. This can be done through tradeshows, rebate structures, sales representatives and pricing. Other elements such as Point-of-Sale material that will entice customers at the point of purchase also aids as part of this strategy. New businesses often adopt a push strategy for its products in order to generate exposure and a retail channel. Once a product brand has been established a pull strategy can be integrated. 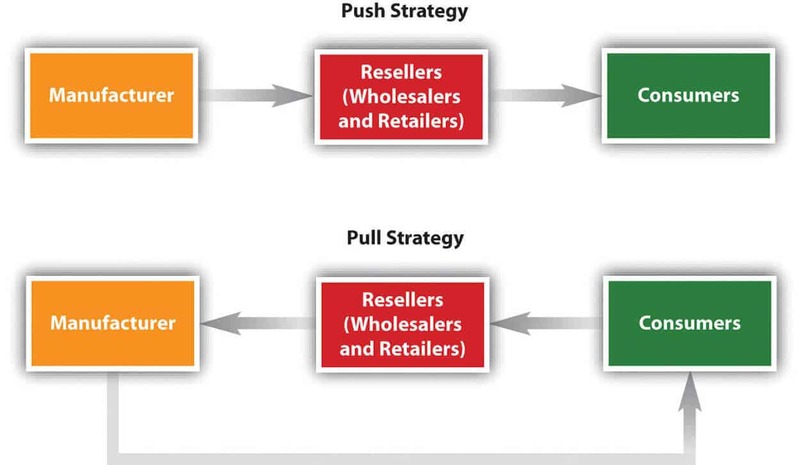 Pull Strategy: This is when you entice the end-user to actively seek out your product, thus creating a demand that the retailer needs to meet. This can be done through targeting consumers through mass media, sales promotions and discounts, word of mouth referrals and other communication channels targeted at the end-user. This is a more costly strategy, but is supply and demand in its purest form – if the demand is great enough the supply channels will almost look after themselves. If the marketing plan for the year is a line and within the budget to allow for product brochures and customer golf days it’s probably time to think about where the road that you are on is leading.